What to look for when hiring a copywriter - news, articles, blogs and more. 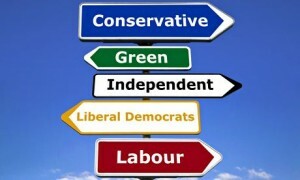 With the impending British General Election just a few days away all the political parties are vying for our vote by divulging their policies and telling us how they are going to save the NHS, improve the education system, lower the deficit, decrease unemployment, sort out illegal immigration, oh the list goes on. But, with so many parties and options on offer, how do we decide which party will be most beneficial to us and actually get the job done? Hiring a copywriter can suffer the same fate. There are arrays of copywriters out there who offer copywriting services from a tenner to a small fortune, and how do you chose a great copywriter at a good rate who won’t let you down? Here’s our guide on what to look for when hiring a copywriter for your business. Choosing a copywriter can depend on your project, but a skilled copywriter will be able to pick up your brief and run with it. All the information and insight they need is freely available on the internet, so an experienced writer will be capable of writing about any subject, for any sector. A copywriter will naturally love writing and will provide a creative edge to their work. Incorporating your brand and setting an appropriate tone and language for your business is essential in writing copy that makes your products and services irresistible. An experienced copywriter will inject personality and energy to write copy that truly converts. Search engines are constantly changing their algorithms and anyone writing web content should keep up-to-date with the latest changes and apply this to their work, in order to obtain a higher search engine ranking. Professional and interesting copy is imperative if you want to give customers a good impression of your business. If you hire a writer whose first language isn’t English, ensure they have full understanding of the formal and idiomatic aspects of the language, including grammar, punctuation and style. Everyone makes mistakes – who doesn’t, but an exceptional copywriter will double check their work for spelling and grammar mistakes, and get them corrected, before delivering to you. Plesilium provide professional copywriting services on an ad-hoc or ongoing basis. For more information or to discuss your requirements please contact us.